There are many PARASTOOs in the world, seeking for an investigation into Israel's Human-Life threatening nuclear activities. We are demanding IAEA to start an INVESTIGATION into activities at Israel's secret nuclear facilities. In response to IAEA's last official statement, we're now publishing additional information to prove our ability to gain access to highly sensitive information, Including Confidential 'SafeGuard' Documents, Satellite Images, Official letters, Presentations and etc. We hope positive IAEA's decision as an independent international organization doesn't allow this to happen again. IAEA cannot just keep us away by turning off their Servers (either old or new ones!). There are plenty more of where this information came from but we guarantee that these information will stay in a very safe place with us. This information only released to open eyes of IAEA and independent media to real threat of world peace, Israel. Our intentions are not to sabotage or misuse such data for any purposes what so ever. Your next move, what is it going to be? On November 24th our twitter account was suspended by twitters support. On November 27th, the day Swedish media wrote about this event, we got the first email from twitter in response to our suspension. Their answer to the reason for our suspension is confusing to say the least. They refer to a tweet whereby we shared a link to a hacked website. The twitter account which tipped us off about the hack has also been suspended. What we do is report to our followers about injustices in the World. 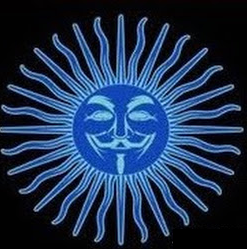 We spread news about the Anonymous collective and other related news that may be of interest. We have done this and it is now also why we have been suspended. The alleged breach of contract is to have shared information from a third party, in this case, a link to a hacked Spanish right-wing website. This can be compared to when the Swedish newspaper Expressen published the article, "Sweden Democrats website hacked again" (2010-09-18). If this were to result in the same kind of treatment that Twitter have applied, then Expressen would lose the right to publish anything at all as a result of this single newspaper article. The only thing that was done was to forward events from a third party, which reasonably is covered by the right to freely notify media, or equivalent in each country with good journalistic practice. The problem is not that we have been suspended, but the incredible power that Twitter has on the public debate. Sure, we have accepted twitter TOC but when a private company has such power over the public debate another part of society has failed. Twitter has proven to be a very good platform for the dissemination of news around the World and the subsequent debate. This is something we strongly support, but as the owner of this platform, they must take the responsibility that comes with it and ensure any reports of abuse are handled in a reasonable manner and within a reasonable time frame. It should be mentioned that other accounts have had time to be both disabled and re-enabled before we got information about the reason for our suspension, and therefore we have not been able to defend against it. See also, "UN Convention on Civil and Political Rights' Article 9, paragraph 2", which guarantees that, if arrested, you are to be immediately informed of the reason for this. Suspension from internet platforms such as Twitter, in that they now have to be considered as part of the public sphere is essentially the same results as an arrest as well as arbitrary censorship. No one can reasonably consider it too much to ask that someone accused and even punished for something also must be told what they are accused of and given a reasonable opportunity to respond to the charge within a reasonable time. This has also given the opportunity for others to attempt identity theft. The fact that even our backup account was blocked with no links to hacked websites published is reminiscent of censorship. Certainly there is the possibility of mistakes committed but then we demand that these be corrected immediately. Twitter has the ball on their half of the pitch and it is time for them to start playing fair. Both Silvan.Lishka@gmail.com & silvanweb@gmail.com are email IDs of Mr. Silvan Shalom. Watch what's happening between the two ID's. Releasing these pics wasn't really our plan because we ZHC do not want to attack a woman. But after Judy's statement a day ago in which she criticized ceasefire between Hamas and Israel, we decided She deserves this. This part of the eZine will give you an idea on what actually these Zionist Funded Banks do. First link contains screenshot of the original mail which we found in Silvan's Inbox. Following two links are documents which were attached to the mail. A new Zionist Funded project to steal money from African people in the name of development? Real motive may not be just money. Its something else. Find out in last few lines of the first doc. We have highlighted those lines for your ease. There might not be anything interesting in this part for some of you. But we are making these chats open to the public just to prove that We did hack his Facebook. Copied from inbox of Silvan's facebook account. As soon as the news of VPM's accounts hit the media some people started tweeting that ZHC are Anonymous. We want to clarify once again that ZCompany Hacking Crew is a separate group. 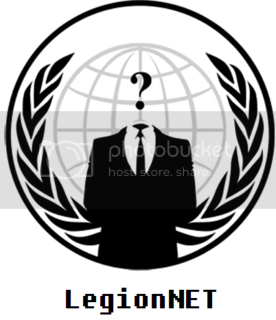 We are not part of Anonymous although we support OpIsrael. ZHC is Hackers Collective from around the world with a common cause to fight against injustice and oppression. We do not hack without a reason nor do we endorse it. Our Recent Hacking of social media profiles of Israel's VPM Mr Silvan Shalom was motivated by his recent statement in which he threatened to blow up Gaza. Gaza is not just in Palestine we are all Gaza. A WRONG TRANSFER? because there are NO documents used in the transaction. And this means that Kuwait Finance House is having some account etc of dy cm. The swift code belongs to the same KFH and the account number most probably belong to dy cm. So in short you have Account number of Dy CM in Kuwait Finance House and you also has his IBAN number(international bank account number) used for international transaction. You also know that the transaction is from UK made to Dy CM's KFH account from some undisclosed sender! Further Credit to: - KUWAIT FINANCE HOUSE. In recent news, a Britain born child has been kidnapped by her father in Egypt for the second time. He is refusing to give this little girl, Aishah, back to her mother, even though she has full custody of the child. Further into the story, the child is being abused. This knowledge was acquired by her mother on an access visit that was allowed by the Egyptian courts. She noticed human bite marks and bruises. Note: The girl is five 1/2 years old, the tradition of genital mutilation starts at six. @Angel_Anon started #OpFreeAishah to help her mother ultimately get her child back from her abusive father, stopping at nothing to get the girl back safely. To help this operation, we ask for you to sign a petition to get 10,000 signatures. This is the minimum to make an impact so the (British) government will step in. The abuse this child is suffering will make an impact on the rest of her life. To end the further damage she experiences every day, please spread the word to all of your family, friends, coworkers, neighbours, and everyone you know. 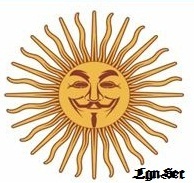 AnonymousBrasil - THE BRAZILIAN PEOPLE NOT ACCEPT such lack of SHAME IN THE FACE OF LORDS SENATORS. Brazilian senators approved on 21/11/2012 Law that exempts them from paying income tax due on the 14th and 15th salaries that were not discounted in the correct time. The BRAZILIAN PEOPLE NOT ACCEPT such lack of SHAME IN THE FACE OF LORDS SENATORS. For starters, these salaries should not be paid. Any employee is entitled to the 13th month salary, for what reason Excellencies, with so many advantages they already have, this would have the right to receive such undue advantage? THAT HAS TO END. We demand the end of the 14th and 15th parliamentary salary. What moves the country and enables social equality through government action is our tax money, right? Then the minimum expected of your Excellencies satisfaction is having to pay income taxes that have left at the time of collecting timely, with all interest due and corrections. After all, these values ​​are used for the good of the Brazilian people, is not that correct? The BRAZILIAN PEOPLE DO NOT ACCEPT PAY BY PERSONAL DEBTS OF SENATORS. Honorable senators, we hope to find some decency in your people so that, even after this LACK OF RESPECT WITH BRAZILIAN PEOPLE, repent and pay the amounts due. Do not let that account for the more experienced Brazilian people pay. We also hope that there is still justice in this country and that regulatory agencies take appropriate action against such IMMORALITY. SENATORS, PAY YOUR TAXES INCOME DUE! The BRAZILIAN PEOPLE ALREADY PAID BY CORRUPTION CARO. WE DO NOT LET THIS WITH MORE DEBT. AnonymousBrasil - O POVO BRASILEIRO NÃO ACEITA TAMANHA FALTA DE VERGONHA NA CARA DOS SENHORES SENADORES. Senadores Brasileiros aprovaram em 21/11/2012 a Lei que os isenta de pagar Imposto de Renda devidos sobre os 14º e 15º salários que não foram descontados na época correta. O POVO BRASILEIRO NÃO ACEITA TAMANHA FALTA DE VERGONHA NA CARA DOS SENHORES SENADORES. Para início de conversa, tais salários nem deviam ser pagos. Qualquer trabalhador tem direito ao 13º salário, por qual motivo Vossas Excelências, com tantas vantagens que já possuem, teriam esse direito de receber tamanha vantagem indevida? ISSO TEM QUE ACABAR. Exigimos o fim do 14º e 15º salário parlamentar. O que move o país e possibilita a igualdade social através de ações governamentais é o dinheiro dos nossos impostos, correto? Então, o mínimo esperado de Vossas Excelências é que tenham satisfação em pagar os impostos de renda que deixaram de recolher na época oportuna, com todos os juros e correções devidas. Afinal, esses valores são usados para o bem do povo brasileiro, não é correto? O POVO BRASILEIRO NÃO ACEITA PAGAR PELAS DÍVIDAS PESSOAIS DOS SENADORES. Senhores Senadores, esperamos que encontrem alguma decência em vossas pessoas para que, mesmo depois dessa FALTA DE RESPEITO COM O POVO BRASILEIRO, se arrependam e paguem os valores devidos. Não deixem mais essa conta para o sofrido povo brasileiro pagar. Esperamos também que ainda exista justiça neste país e que os órgãos fiscalizadores tomem as medidas cabíveis contra essa IMORALIDADE. SENADORES, PAGUEM SEUS IMPOSTOS DE RENDA DEVIDOS! O POVO BRASILEIRO JÁ PAGA CARO PELA CORRUPÇÃO. NÃO NOS DEIXEM COM MAIS ESSA DÍVIDA. Unidos com um. Divididos por zero. Hacker group Anonymous has launched a massive attack named #OpIsrael on almost 9000 Israeli websites, protesting against Operation Pillar of Defense in Gaza. Israeli media confirmed the group's move. But when the government of Israel publicly threatened to several Internet and other telecommunications into and out of Gaza they crossed a line in the sand. As the former dictator of Egypt Mubarack learned the hard way - we are ANONYMOUS and NO ONE shuts down the Internet on our watch. To the IDF and government of Israel we issue you this warning only once. 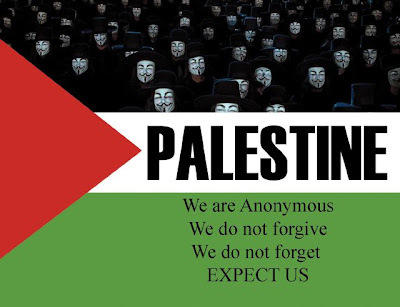 Do NOT shut down the Internet into the "Occupied Territories", and cease and desist from your terror upon the innocent people of Palestine or you will know the full and unbridled wrath of Anonymous. And like all the other evil governments that have faced our rage, you will NOT survive it unscathed. To the people of Gaza and the "Occupied Territories", know that Anonymous stands with you in this fight. We will do everything in our power to hinder the evil forces of the IDF arrayed against you. We will use all our resources to make certain you stay connected to the Internet and remain able to transmit your experiences to the world. As a start, we have put together the Anonymous Gaza Care Package - which contains instructions in Arabic and English that can aid you in the event the Israel government makes good on it's threat to attempt to sever your Internet connection. It also contains useful information on evading IDF surveillance, and some basic first aid and other useful information. We will continue to expand and improve this document in the coming days, and we will transmit it to you by every means at our disposal. We encourage you to download this package, and to share it with your fellow Palestinians to the best of your ability. We will be with you. No matter how dark it may seem, no matter how alone and abandoned you may feel - know that tens of thousands of us in Anonymous are with you and working tirelessly around the clock to bring you every aid and assistance that we can. US Congressman Ron Paul states that Israel created Hamas to destabilize Arafat who was very powerful at the time. Zionism is a geopolitical movement founded a little over 100 years ago by Theodore Herzl and pushed forward by the Rothschilds. http://pastebin.com/NuJhTfDZ / ps also @ http://www.michaelyon-online.com/taliban-email-distribution-list.htm and ABC not BBC?! The Taliban email distribution list, aka "the BBC has leaks". Brought to you by Anonymous. I'd like to thank the BBC for being leaky. SPREAD EVERYWHERE ! HES ON MOST OF OUR FRIENDS LIST! Full Dox & evidence of him reporting Anons to feds. Reason: Little Fucktard. Claims to have reported over 20 Anons to FBI. • Lot Size: 10,973 Sq. Ft.
• Sq. Ft.: 1,704 Sq. Ft.